John Maynard Keynes defined a depression as "a chronic condition of sub-normal activity for a considerable period without any marked tendency either towards recovery or towards complete collapse." 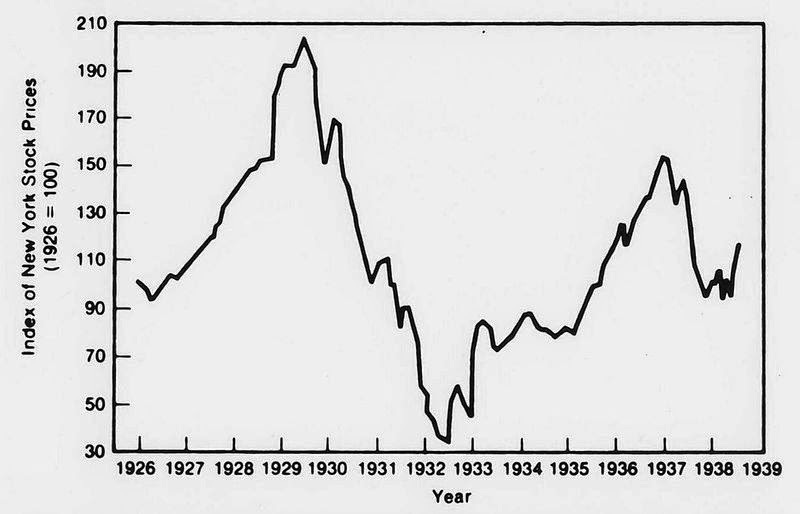 People associate the period during the 1930's as a ten year "complete collapse" but the majority of the decline occurred during the initial 1929-1930 phase. The ten year period that followed was best described by Keynes' definition above. Depressions tend to occur every 75 years throughout history, and the U.S. entered the most recent depression in December of 2007. We are now over six years in. There are differences between the 1930's depression and today's, the most obvious being the monetary policy response used by the Federal Reserve. In the 1930's the U.S. experienced severe deflation, where today the Fed has managed to keep inflation alive with over $3.5 trillion printed so far. In the 1930's deflation stocks, bonds, real estate and wages all declined simultaneously. Banks failed and debtors had a more difficult time paying back debt. On the opposite side of the coin, deflation provided a benefit to savers. The cost of living fell precipitously, which means if a wage earner experienced a reduction in their salary, their cost of living fell in tandem. Governments hate deflation for many reasons, but one reason is that a decline in the cost of living is a raise to every person living in that country that cannot be taxed. What does that mean? If a person's salary increases by $5,000 in a year the government may take 40% of that raise through taxes. If the cost of living falls by $5,000 in a year the citizen keeps 100% of that benefit. Those that saved their money instead of speculating in the bubblicious stock market of the late 1920's saw that they now received a far higher return on their savings when interest rates rose after the crash. 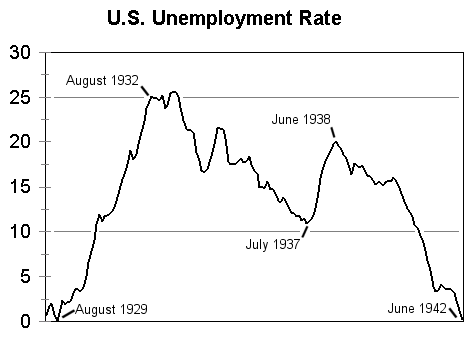 Unemployment during the 1930's reached a high water mark of 25% before slowly working its way lower through the remaining portion of the decade. Calculating unemployment using the same methodology today shows that it crossed 20% after the current depression began in 2008 and has moved steadily higher since (blue line below). The majority of U.S. jobs created since 2009 have been in the lower paying or temp job category. Many stocks in the U.S. fell by over 80% from their 1929 peak to the low in 1932. They then rallied over 420% into 1937 before rolling over again. Most forget that one of the greatest cyclical rallies in stock market history occurred during a depression. 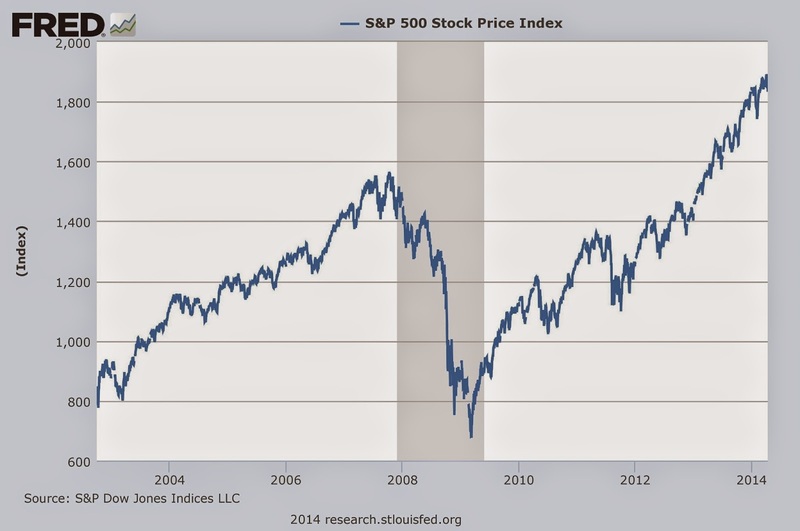 Many stocks in the U.S. fell by over 50% from late 2007 into the 2009 low. They have since rallied over 170% into 2014. Coming off a GDP decline in 2008, GDP growth has been anemic (reaching a high of 4 percent in the fourth quarter of 2009 and moving range bound around 1 to 2 percent since). GDP is not contracting, but it has been in "a chronic condition of sub-normal growth for a considerable period," as Keynes defined a depression in the quote above. 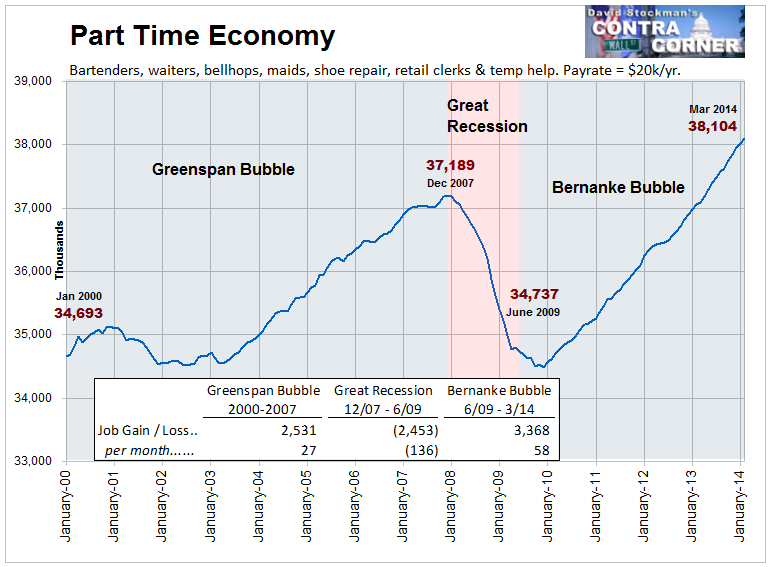 Why are we still lingering in a zombie-like state five years into this cyclical recovery? It is due to the actions taken since 2008 to "save the world." Removal of bank's mark to market accounting, the nationalization of the housing market, the new government induced student loan bubble (choking off potential growth of the younger generation drowning in debt), massive government spending programs and endless injections of the the QE monetary heroine are just a few of the toxic programs that have not allowed the system to cleanse. If U.S. leaders had allowed the economy to enter into a much deeper and protracted downtown (cleanse) in 2009 and 2010, the country would be experiencing far higher levels of real growth today from a much stronger foundation. Cleansing would have involved allowing bank stocks to be wiped out, bond holders to take a hit, toxic loans nationalized and then sold off as they were during the 1990's savings a long crisis. There is no need to go on and on about what should have happened because it didn't happen. However, knowing what should have happened will be important in understanding why the U.S. economy, which is a house of cards built on quicksand, will collapse again. A recession is a cyclical decline, meaning that monetary stimulus and government spending have the ability to bring the economy back to life. Hypothetically, you can then tighten monetary and reduce the deficits during the next period of growth (this is the Keynesian textbook play). A depression is a structural decline, meaning that monetary stimulus and government spending only add a layer of poison to a cancer that needs be cleansed. There are no economists today that have models going back to the last depression so they are continuously confused why their tools have only make the problem worse. The next collapse will be larger than the last, and it will come at a time when the world economy around the United States is far weaker than it was when the depression began in late 2007. 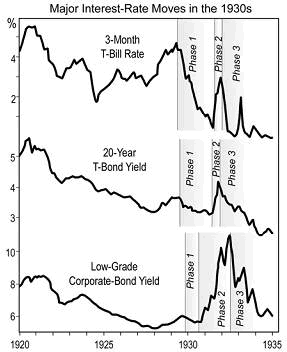 In the United States we have a stock bubble, bond bubble and a real estate bubble in some sectors of the market (farmland, apartments, bigger city office and retail, some residential markets). It will be interesting to see how the Federal Reserve handles the next decline when its chips are now already "all-in" the pot.